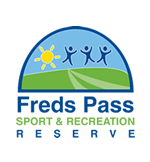 The Management Board is seeking input into the future development of the Reserve and the design of a Community Centre to service the Freds Pass and Coolalinga Community. We are working to improve the facilities and amenities to ensure that the Reserve meets the needs of the rural community. Your comments will enable the Board to gain a greater understanding of the community’s changing needs. Your input into our future priorities are appreciated.